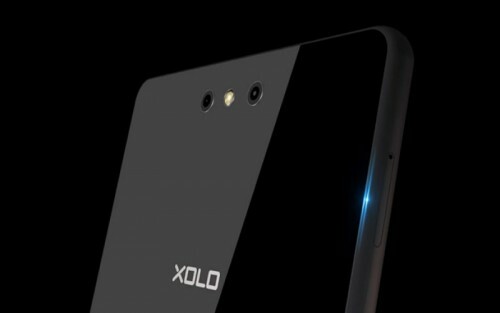 Xolo today introduced ‘Black’, which marks the company’s entry into the premium smartphone category. The smartphone is priced at Rs. 12,999 and will be available exclusively on Flipkart by 13th July 2015. ‘Black’ is the first smartphone in the category and features some decent specifications to take on the competitors. The smartphone boasts a 5.5 inch full HD OGS display, which delivers 401ppi and comes with Corning Gorilla Glass 3 protection. The rear panel is also protected by the Gorilla Glass 3 and also integrates oleo phobic coating that protects the smartphone from accidental water spills. Xolo Black is powered by a 2nd gen. Qualcomm Snapdragon 615 octa-core CPU, which is a 64-Bit processor with 4G LTE connectivity. For multitasking, the smartphone has 2 GB RAM. There is 16 GB in-built storage that can be expanded up-to 32 GB via microSD card. The dual-SIM smartphone also supports USB OTG. It runs on Android 5.0 Lollipop with Hive Atlas UI from Xolo. It comes with some new features such as Comet browser, which Xolo has developed in partnership with Opera Mini to offer internet connectivity without consuming a large amount of data. Xolo has also added Reading mode that turns the smartphone display into black and white for a strain free reading experience. There is an Underground mode that hides the applications you don’t want people to use without your consent. We found that the Hive UI resembles the look and feel of Yahoo Aviate launcher with a similar kind of app drawer and widgets placement. The smartphone features a Duo camera module at the rear that includes a 13MP+2MP camera to offer fast focus and to create depth in the images you click. Xolo said that the smartphone integrates ChromaFlash that helps you click amazing pictures with natural colors even in the absence of light. Black also packs a 5 MP front camera with a wide angle lens and is accompanied by a LED flash. Some other camera features include Optizoom takes 12 pictures at a time and combines them to form a detailed picture. UbiFocus lets you focus and refocus the subjects in the images you click. With FastFocus mode, you can take a picture in just 0.15 seconds. The smartphone is backed by a 3200 mAh battery unit, which comes with Quick Charge and Xolo said that the smartphone takes 2.5 hours to get fully recharged. We will check all the facts when we will review the smartphone.